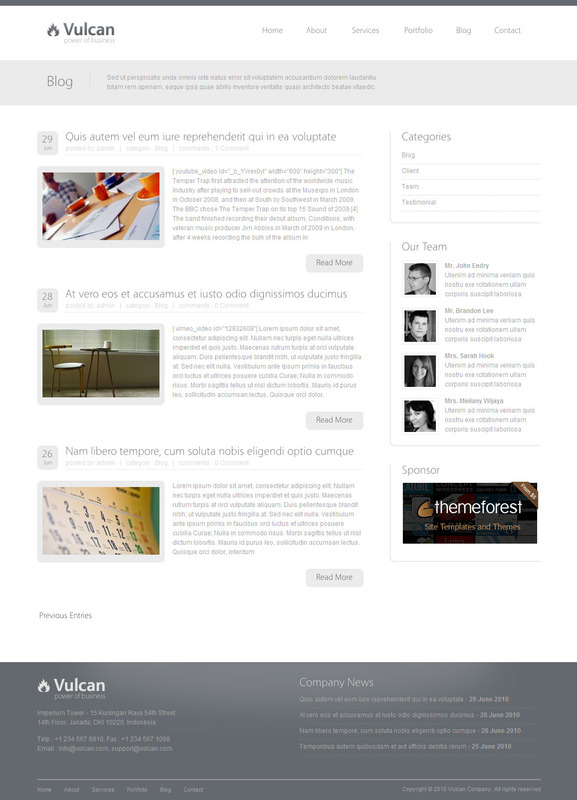 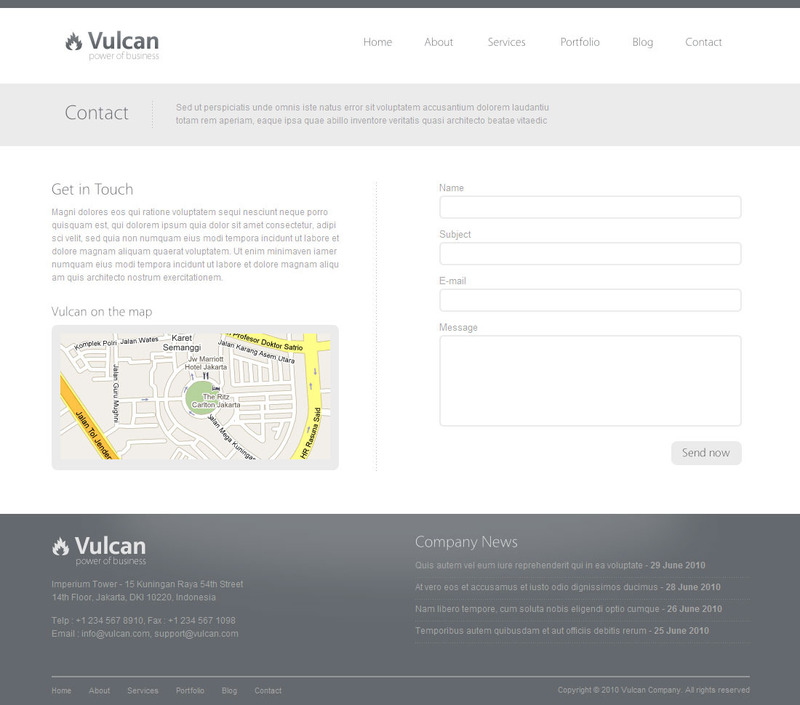 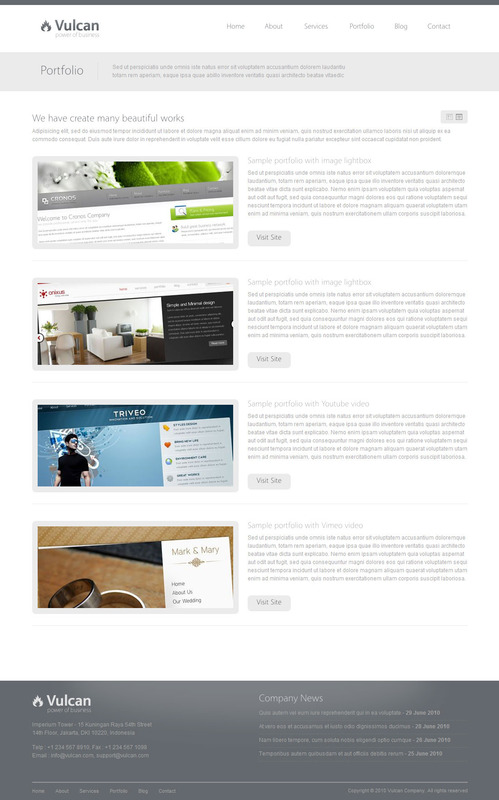 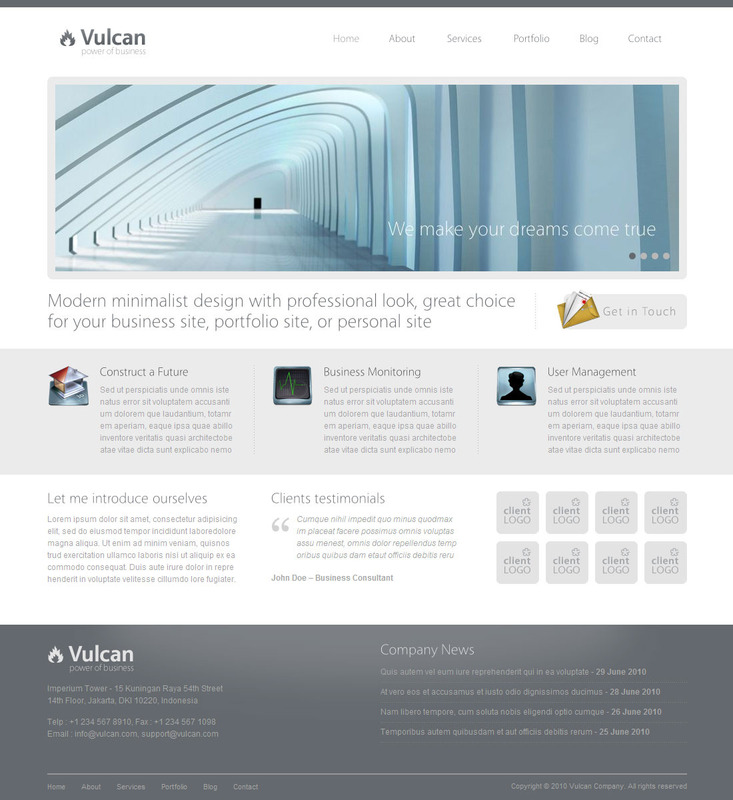 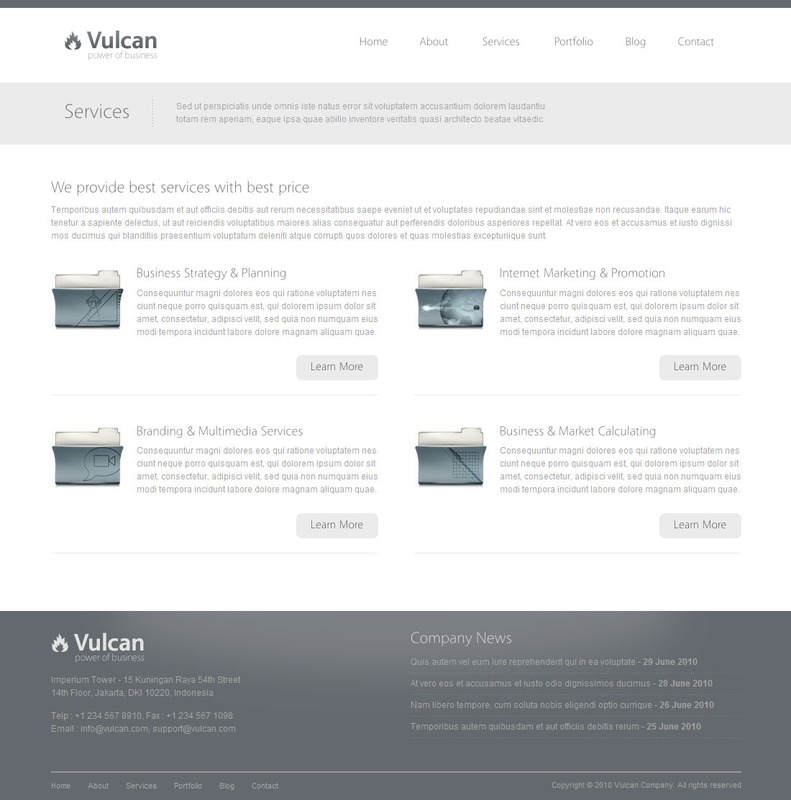 Vulcan template is designed Modern and minimalist template, suit any kind of website. 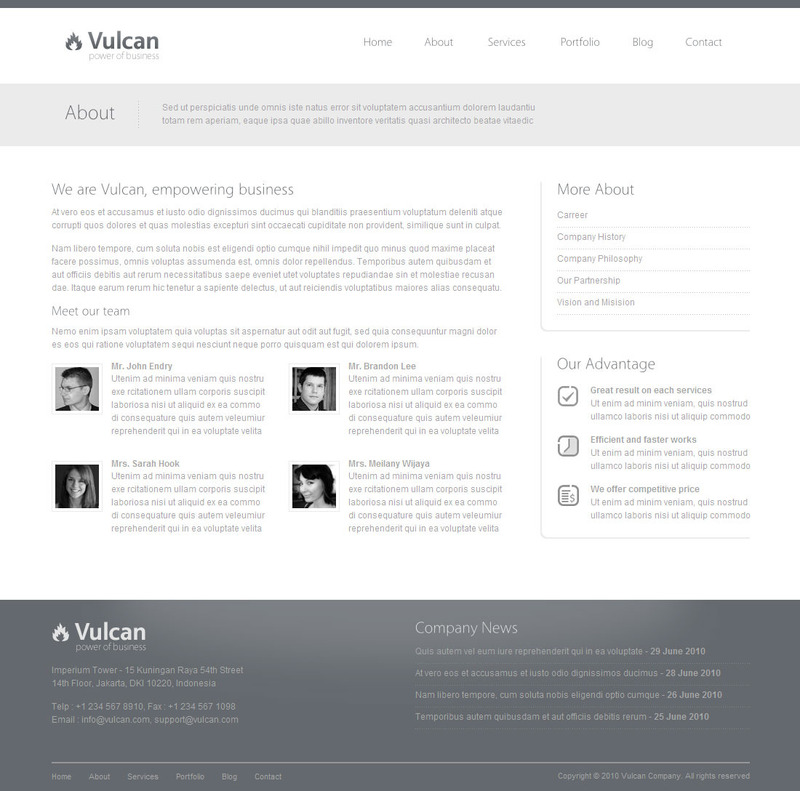 Vulcan available in five color option, it comes with three variations slider. 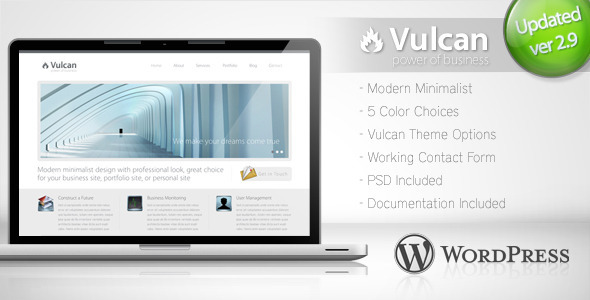 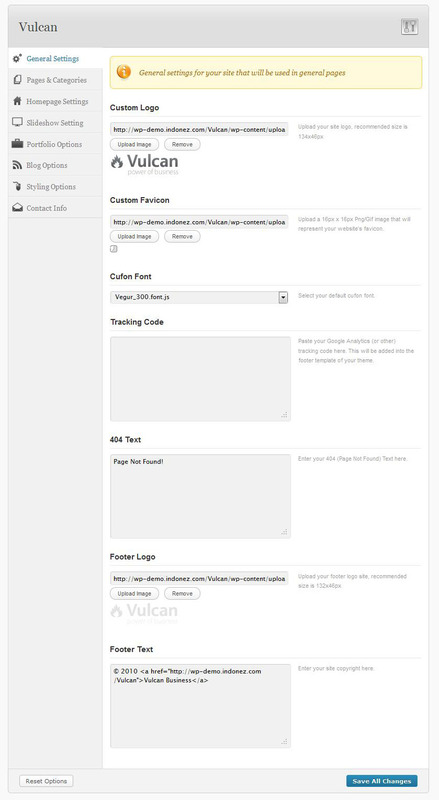 With New Features of Wordpress 3.x Vulcan has been coded to improve capability of the Wordpresss 3.x features.